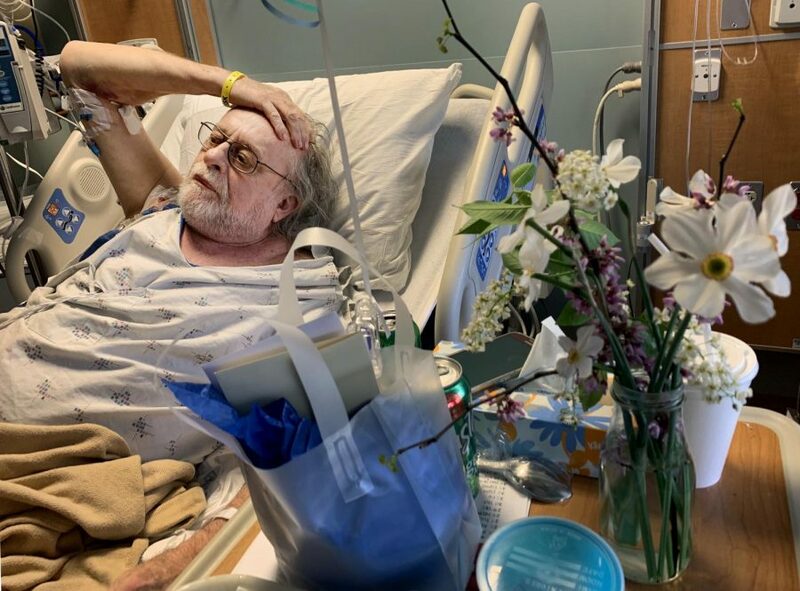 John Diamond, 71, of Carbondale, watches television on Sunday, April 14, 2019, in his room at Carbondale Memorial Hospital in Carbondale, Illinois. Diamond was shot by a stray bullet at Tres Hombres Mexican Restaurant and Bar on Friday. CARBONDALE – John Diamond said he was drinking with acquaintances on Friday night when the sound reminiscent of firecrackers boomed through the air and chaos ensued – he was hit. A stray bullet hit Diamond in his buttocks as he was standing up from a chair on the patio of Tres Hombres Mexican Restaurant and Bar. Diamond, a 71-year-old Army veteran who lives in Carbondale, was one of four people shot during the incident and said he was still attempting to get over a 2014 car accident which left him barely able to walk. Doctors have not yet removed the bullet, which he said he believes is lodged in his tailbone. Diamond adjusts monitors attached to his body as the local news plays in the background; fresh wildflowers sit on a bedside table along with balloons and a myriad of drinks. He said one of the most difficult things about being in the hospital is not being able to eat solid food. He said he already owns a cane, a wheelchair and two walkers, “putting him ahead of the game” but doesn’t let incidents such as this one get to him. He said situations such as this one could happen anywhere – from Chicago to Atlanta – and the incident shouldn’t make people afraid of the area. Jody L. Pullen Jr. of Carbondale. Pullen is considered armed and dangerous. Tim Trocke, senior studying hospitality and tourism management from Wauconda, said he was at the restaurant with his girlfriend, Nadia, when she went to the bathroom and heard gunshots. Trocke said he ran into the women’s bathroom because it was the closest door to him and said he was unsure if the shooter was going to enter the building. Police responded to reports of a shooting between ABC Liquors and Tres Hombres shortly after 10 p.m. Friday. Upon arrival, police found three gunshot victims and learned there was one already at Carbondale Memorial Hospital. One of the victims sustained life-threatening injuries and was transported to St. Louis, Missouri for additional treatment. A maroon Ford hatchback – multiple windows shattered – sat in between the two buildings as investigators scoured the scene. About nine squad cars blocked off a portion of N. Washington Street as police conducted their investigation with the Carbondale Fire Department providing additional lighting. Simone Cohen, a friend of three of the victims, said she didn’t initially know what was going on when she drove by the scene. Jody L. Pullen Jr., of Carbondale, was named as the primary suspect in the incident by law enforcement. 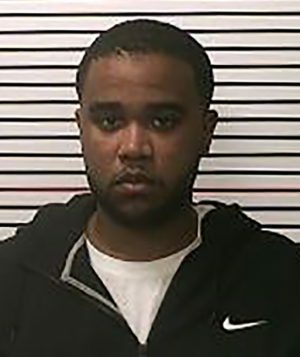 “Carbondale Police detectives obtained an arrest warrant for Pullen for charges of aggravated unlawful use of a weapon, aggravated battery with a firearm and felon in possession of a firearm,” according to a press release. Pullen is considered armed and dangerous – anyone with information about his whereabouts is asked to contact law enforcement. Brian Munoz, Editor in Chief, can be reached at [email protected] and on Twitter at @BrianMMunoz. You need a concealed carry person on scene. One was already at the hospital by the time the cops arrived? What the hell was the response time?